Matterhorn by Karl Marlantes is bound to be an instant classic among Vietnam War literature. Drawing from his experiences as a Marine Lieutenant, much like many of the other authors’ novels, Marlantes’s perspective is not only of Marines on the ground in the depths of the jungle, but of a lieutenant who experienced first hand the political battles and horrifying decisions made by other officers and politicians. Weaving in political dilemmas and screw-ups into the narrative can be burdensome for many writers — dragging down the plot and characterization — but this is not the case with Marlantes’ Matterhorn. Mellas, the main protagonist, enters Vietnam as a lieutenant with a variety of ambitions for advancement and medals. He’s been to Ivy League schools, he’s had a charmed life compared to the others in the bush, but he likes to feel like one of the ordinary guys in the bush, though at the same time, he wants to fit in with the officers and to prove his worth. He’s a dichotomy in himself, displaying openly the struggle between the grunts and the officers within one man. Mellas is thrown into Bravo Company and told to take hold of Matterhorn, only to abandon it when the political forces deem Cam Lo a bigger priority. But by not having the support necessary from the base camps, his company runs out of water and other supplies, forced to hump through the jungle dehydrated and shot up. There is more than one instance in which this company is thrown into battle with impossible odds, which will remind many readers of the movies that glorify the marines and their victories. However, this novel shows readers the true nature of those “hollow” victories. While these men remain dedicated to their missions and each other, without proper strategy and backing their victories become senseless in the eyes of loss and terror. Even victories become jokes once the reports are made to the command posts and the reports of confirmed and probable dead are doctored — something that was common during the war. Mellas finds his place within the company and even becomes respected, but his continued ambition clouds much of his judgment and often forces him into situations that are more dangerous than they need to be. Beyond Mellas, the company is hampered by continued racial tensions between the “brothers” and their white counterparts, with some elements on both sides more violent and outspoken than others. Others are aware of the increased tension and racial hatred, but attempt to brush it under the rug or ignore it. The tension builds within the “brothers” camp, pitting China against Henry, in such a way that it can only be released in one way. As for the officers back at the base camp, readers will find in Lieutenant Colonel Simpson a possible mirror image for Mellas, depending on how well he reacts to combat situations and political decisions beyond his control. Simpson is often drunk, quick to anger, and makes rash decisions just with a few promptings from peers and underlings. There are so many layers to Matterhorn, it is impossible to discuss them all in a review. Mellas is a troubled hero, but in a way the hero is not any individual Marine, but the jungle that surrounds them. It beats them down; it disguises the enemy; and it leaves them begging for mercy, but it also can provide them shelter; offer them food; and improve their chances of success. Psychological effects of war, loss, and camaraderie in highly intense situations can be devastating and enlightening. One of the best books I’ve read all year and easily one of the best books of the last decade. Readers interested in drama, tension, war-related literature, and human interactions and societal contexts will be as captivated by Matterhorn as any other book that has come onto the shelves. 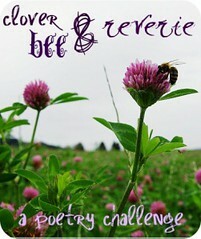 This is my 63rd book for this challenge. This is my 15th book for this challenge. The Cool Woman by John Aubrey Anderson begins in 1970 when Lieutenant Bill Mann enters pilot training and begins to live his dream of becoming a fighter pilot. Mann is a black man entering the military at a time when bigotry and ambition made a dangerous cocktail for his race. He’s determined to make his mark and do his father proud, and in the process meets the love of his life, Pip. Throughout the novel, Anderson weaves in Mann’s background and hidden secrets, but he also unveils how the path to God and faith is wrought with many obstacles and trials. Christian faith plays a large role in this novel, as it should given the combat situations and uncertainty in the lives of the families tied to Bill Mann and his friend Rusty Mattingly and every other combat pilot they encounter along the way. The three ingredients necessary for aviation are like those necessary for faith, but readers will also note that these ingredients can be boiled down to one word — hope. Hope is the main message of the novel despite the bullets and bigotry flying through its pages. Anderson’s use of sparse language to tell his story makes the plight of Mann and his friends in the jungles of Vietnam immediate and harrowing at every turn, but it also helps illuminate the enduring camaraderie and bonds that were created between soldiers, nurses, administrators, and many others. Overall, The Cool Woman is a captivating novel about Air Force pilots and the struggles they faced. It also explores the racism in the military, the politics that gets things accomplished or screws things up, and the faith it takes to not only do what needs to be done, but get through the roughest patches. Anderson’s cool woman is not the plane, but the inner self that must be crafted and nurtured in times of combat. This is my 62nd book for this challenge. This is my 14th book for this challenge. Aron Ralston, if you are not yet familiar wit his amazing recovery from being trapped in a Utah canyon, reads this abridged edition of his memoir, 127 Hours: Between a Rock and a Hard Place. In only five discs, listeners will get lessons in climbing equipment and the actual stamina and skill involved in hiking treacherous terrain out west. Ralston is a man who often likes to hike and climb alone to commune with nature, but also to be with himself in a way that allows him to just be and assess his own life. Listeners are walking beside Ralston as he tells his tale, climbing steep canyons with him, and feeling the agony and pain of dehydration, starvation, and major blood loss. His enthusiasm for the outdoors and climbing are infectious. 127 Hours is a gripping real life tale of a human struggle alone in the wilderness and the enduring nature of hope and humanity. Ralston’s struggle is immediate and harrowing. The audio, especially narrated by the actual subject of the tragic event, is mesmerizing and even disturbing in its detail. Overall, this is one of the best audio books of the year. It is more than just a story about a man’s struggle and courage, but about what he does following tragedy to change his life and appreciate the friends and family he has. My husband and I listened to this audio on the commute to and from work. My husband says the best part of the book is how the narrator describes the process through which he amputates his arm to miss his major veins and nerves until the harder parts are severed, etc. There is a true sense of how the human spirit seeks ways to keep the body going, and how the body keeps going regardless of moments of weakness in human will. Ralston explains his plight really well. Very profound and memorable. 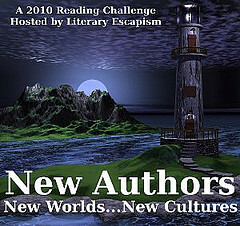 This is my 61st book for the 2010 New Authors Reading Challenge. 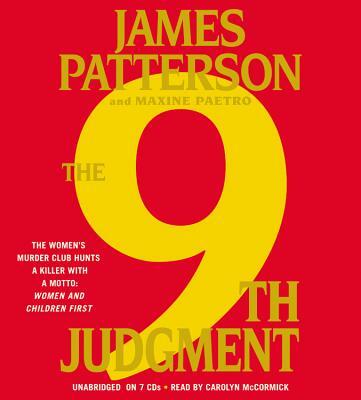 9th Judgment by James Patterson and Maxine Paetro, and read on audio by Carolyn McCormick, begins with the murders of a mother and her young infant. It’s clear that Lindsay and the other members of the Women’s Murder Club are in for a rough ride this time around. McCormick does an excellent job providing different personalities and voices for each character, though at some points in the audio her interpretation of coroner Claire Washburn’s voice is a bit too deep and masculine. Lindsay is not only tasked with finding the lipstick killer who kills women and children firms, but she also must take on a high profile case involving a movie star, Marcus Dowling, whose wife was murdered following a robbery. Is the husband acting or is he devastated by the death of his wife, and was the robbery committed by the famed Hello Kitty cat burglar coincidental? 9th Judgment delves into how being a solider in war can twist your psyche, and how when these men return from combat, things are just not the same for them or their families. Additionally, this novel connects characters in ways that are unusual and surprising, deals with physical abuse, and more. In terms of depth, this novel has more of it than some of the others given that the motivations behind the criminals are examined. Patterson and Paetro make a good team in the Women’s Murder Club series, although readers may find that some of the story lines are not as well crafted as some others. However, in 9th Judgment, readers will find that even though they are introduced to the criminals in the first few chapters, how their capture unravels is titillating and edgy. Overall, this installment in the Women’s Murder Club series is a great addition and will have readers looking forward to the next one. My husband and I listened to this one on our commute northward for Thanksgiving and finished it up on the way back. He enjoyed the chase scenes for their vivid description and the comedic elements as Lindsay plays go-between for the FBI and the lipstick killer. There were fewer instances of sound effects in this one, with just a few gunshots in the beginning, which was fine with us. We’ve grown attached to these characters, even the latest member of the club, Yuki Castellano. At one point near the end, my husband and I almost thought we’d have to write Patterson a scathing letter, but alas we just had to listen onward to learn that our fears were misplaced. This is my 15th book for the 2010 Thriller & Suspense Reading Challenge. Sophie Kinsella has become a chicklit icon with her shopaholic series, but after five books what could be left to hold readers’ interest? Rebecca Brandon (nee Bloomwood) is back in Mini Shopaholic, credit cards in hand, and white lies streaming from her lips. However, instead of simply facing rising debt, she must learn to deal with her two-year-old daughter Minnie and her penchant for shopping and acting out. She also bites off more than she can chew as her and her husband, Luke, try to find the perfect home and navigate an economic meltdown. Kinsella takes a real-life situation and makes it wildly funny, but there are times in the novel where Becky seems to have learned absolutely nothing over the course of six books. She still shops for brands, barely uses or wears the brand items she buys, and lies to her husband about the purchases she makes. The one main difference in this novel is that Becky is not just shopping for herself. Readers who love the previous books will enjoy the latest in the series, but some readers may find Becky’s lack of growth disappointing. Readers looking for the focus to be on Minnie will find that the daughter plays more of a subordinate role, though Becky continuously deals with keeping her under control. Kinsella does provide a bit more depth to the character in that she clearly loves her daughter, refuses to believe that she needs a boot camp, and would rather run off with her daughter than send her away. 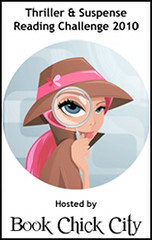 Overall, Mini Shopaholic is a fun read that pokes fun at addiction and the lengths people go to to hide those addictions. What will happen next in this series is anyone’s guess. Sophie Kinsella raced into the UK bestseller lists in September 2000 with her first novel in the Shopaholic series – The Secret Dreamworld of a Shopaholic (also published as Confessions of a Shopaholic). The book’s heroine, Becky Bloomwood – a fun and feisty financial journalist who loves shopping but is hopeless with money – captured the hearts of readers worldwide and she has since featured in five further adventures in Shopaholic Abroad (also published as Shopaholic Takes Manhattan), Shopaholic Ties the Knot, Shopaholic & Sister and Shopaholic & Baby. Becky Bloomwood came to the big screen in 2009 with the hit Disney movie Confessions of a Shopaholic. Michael V. Uschan‘s The Fall of Saigon provides an observant look at the history of how the Vietnam War begins, unfolds, and ends. Unlike other books on this topic, Uschan begins with the fall of Saigon or the end of the war with one of the largest helicopter evacuations in history. Although many would argue this is a civil war between its northern and southern counterparts, this war occurred at a time when democratic governments were wary of the spread of communism. There is a great mix of photos and text in the book to provide a simplified explanation of the war and all of its moving parts. It does touch upon the My Lai massacre and the deaths of innocent victims, but without the horrifying images that polarized many of those back home. To teach students about the war, this is an excellent edition, but for children reading about the war on their own, it may be a bit dry. However, photos often supplement the text and can provide a visual aid to kids. Even adults can learn or relearn things about the Vietnam War and what may have happened as a result of the war. For instance, the passage of the War Powers Act in 1973 required all future presidents to gain approval from Congress each time troops are sent into action overseas. Overall, The Fall of Saigon is for older children, possibly between the ages of 9 and 12, and provides a great deal of information in just 30 pages, but in some ways the text needs to be supplemented with additional material on the Cold War and other events. 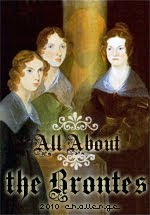 This is my 58th book for the 2010 New Authors Reading Challenge. This is my 13th book for the 2010 Vietnam War Reading Challenge.